A slice of Batman. You've just received the final clue in the Riddler's latest larcenous plot… but how to open it without triggering any booby traps the felonious fiend may have secreted inside? 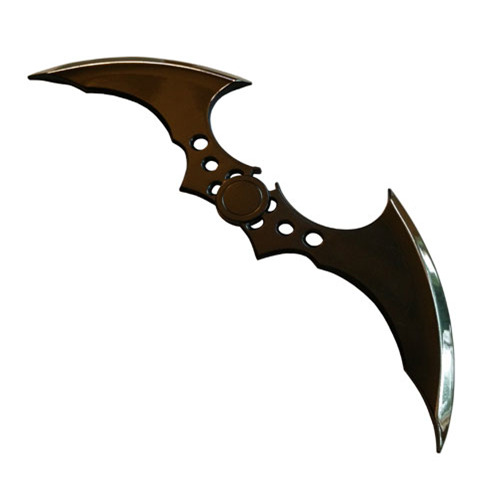 Reach for your utility belt and withdraw the Batman Arkham Knight Batarang Letter Opener! Based on the actual 3-D files from the hit Arkham Knight blockbuster video game, this lightweight metal replica measures 7-inches long x 2-inches wide x 1/2-inch tall. With this piece of the Arkham arsenal on your desk, they'll be no doubt in your office who owns the night! Ages 18 and older.